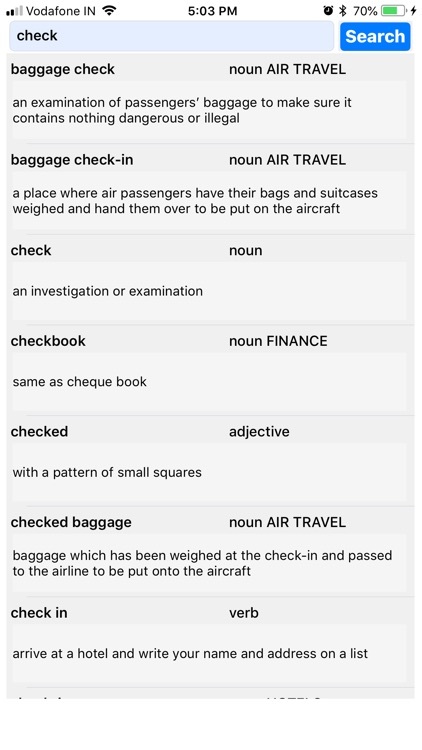 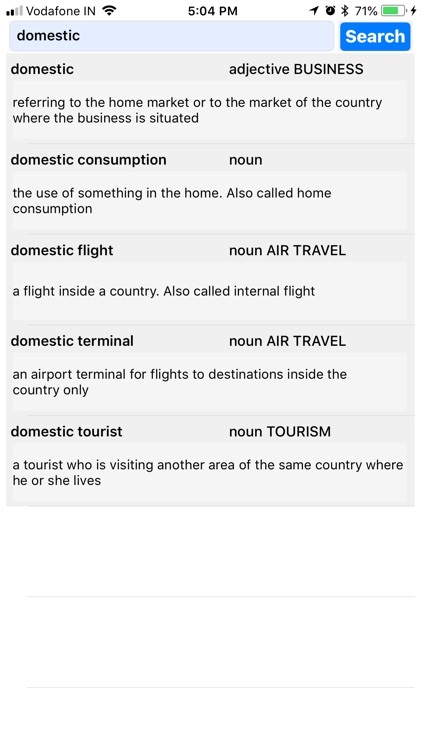 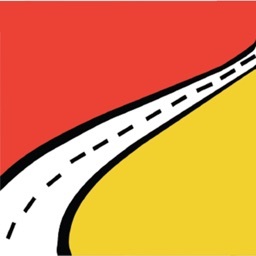 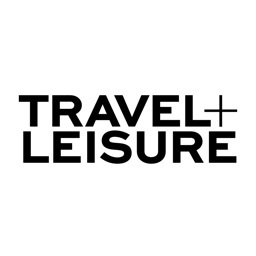 This travel dictionary app includes 7000+ entries for the travel industry. 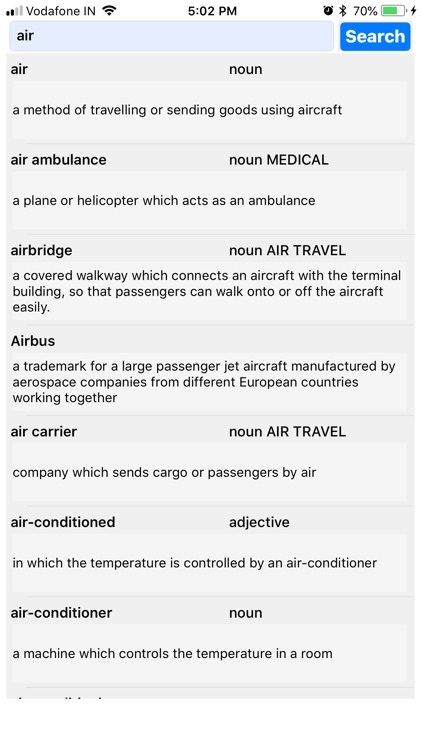 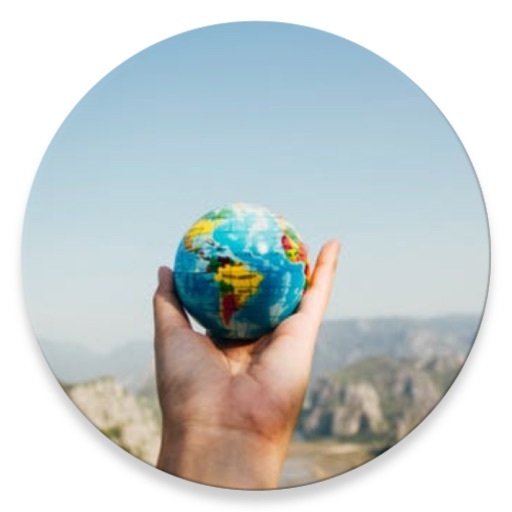 The 7000+ travel related words categorized by TRAVEL, AIR TRAVEL, RAIL TRAVEL, ROAD TRAVEL, CATERING, BUSINESS, TOURISM, FINANCE, MEDICAL, ENTERTAINMENT, MARKETING, DESSERTS, HOTELS, BEVERAGES, FOOD, SPORT. 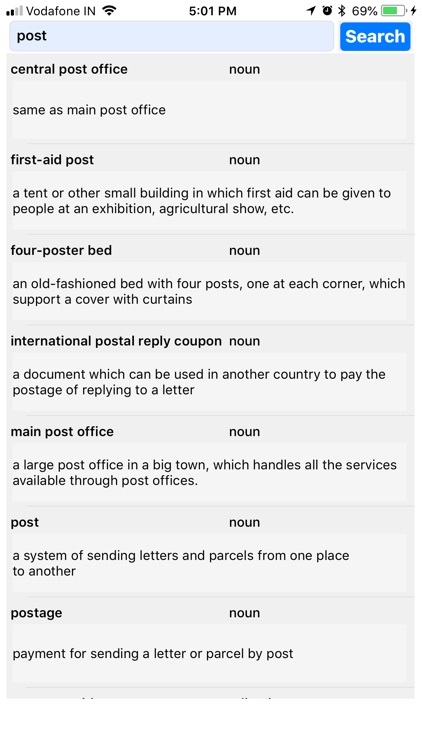 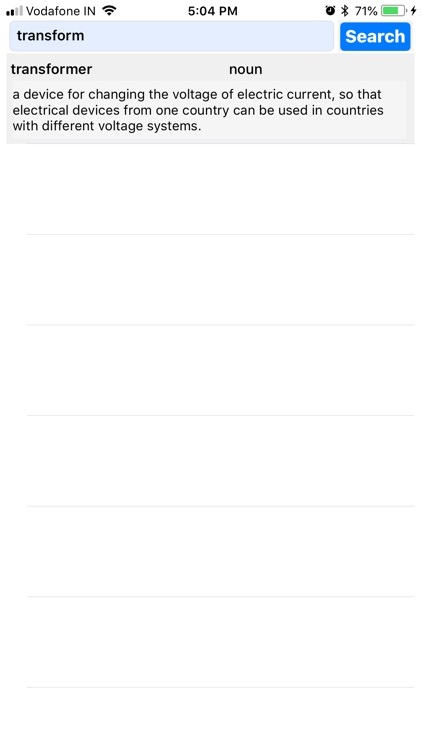 The app presented in a dictionary style. 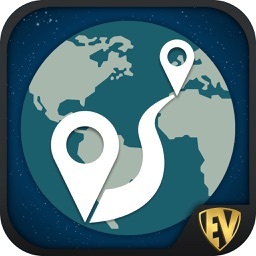 The app is very handy & necessary tool for travelers and tourists.